Gateway School, London NW8. 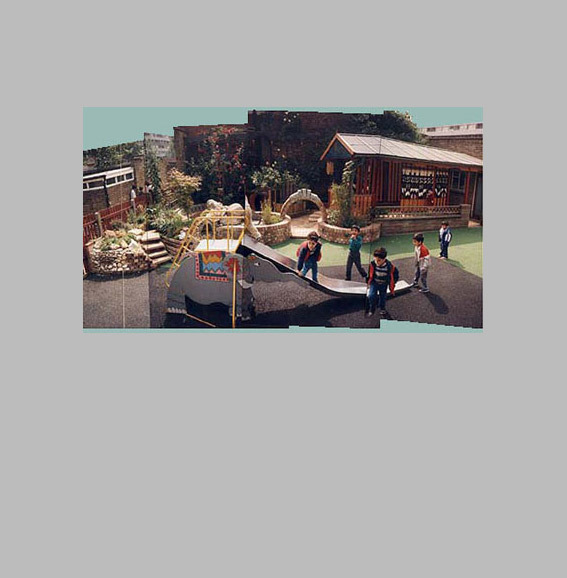 1990 Project to redevelop nursery playground. Involved longterm residency at the school working closely with staff and pupils to develop a stimulating play environment.